The Free Radicals are a group of three guys who are just trying to ride some bikes. 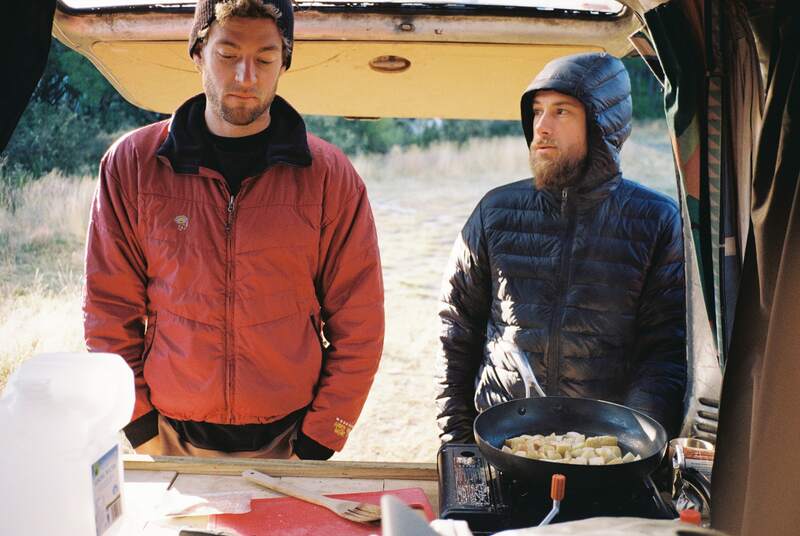 On their website (a domain they purchased with Rebel, naturally), they break it down: "We live in vans, work seasonal jobs and eschew the comforts and constraints of traditional lives in order to ride our bikes as much as humanly possible. Racing is the impetus for our travels, but we live for the in-betweens: the hidden trails, local swimming holes and general mischief encountered while on the road." I reached out to Mark to learn more about The Free Radicals and get some advice on how others can make the leap into a big life change. Tell us about how The Free Radicals got started. It started with a phone call. “You should quit your job and come party next summer,” is how I remember it going. We were starting to realize that we were over that traditional 9-to-5 working lifestyle. 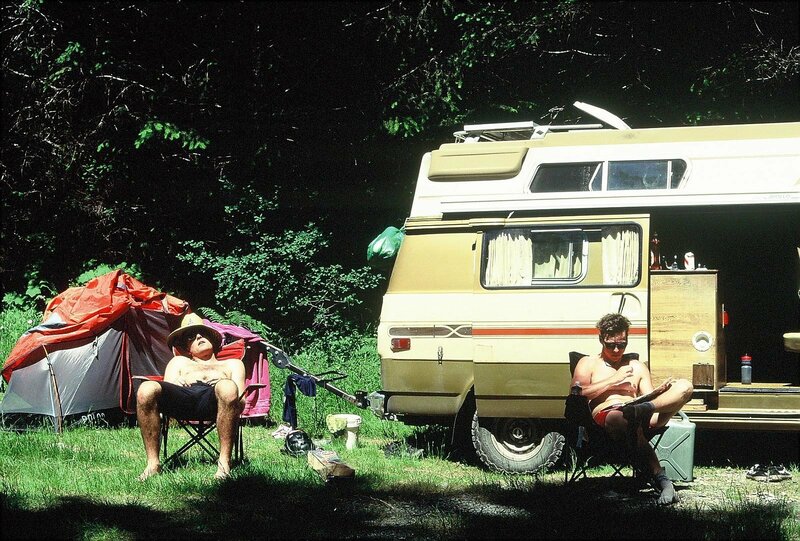 We came up with a fairly loose plan, spent a few months during winter stacking some cash, quit our jobs in the spring and then moved in to Will’s 1984 Chevy campervan named Elaine. From then on it was simple; any trailhead could be called home and the possibilities were essentially unlimited. Being able to endlessly hit snooze and eventually waking up metres from a favourite trail always beat sitting in traffic and being on-time. What’s the farthest you’ve traveled so far? Last winter we decided to escape the low-lying snow line and relentless damp days of Vancouver, B.C. for the endless sun of New Zealand. It’s a distance of about 12,000 km, or the equivalent of 7 bad romantic comedies and 3 plastic wrapped airplane "meals". 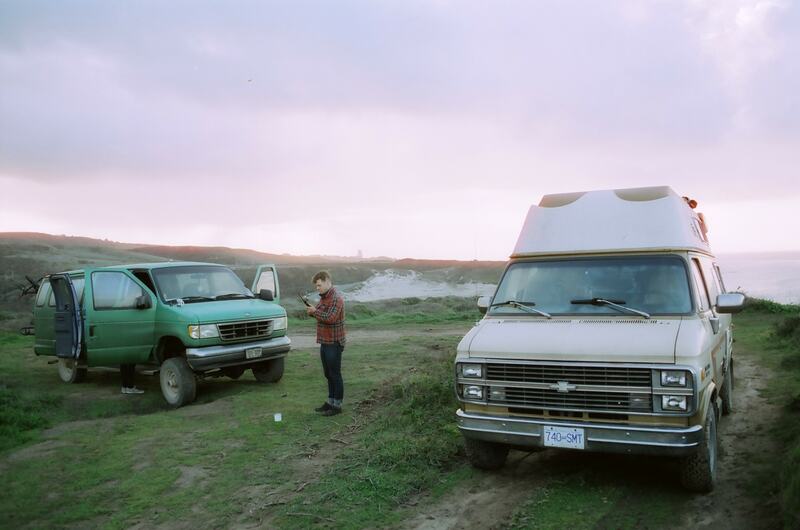 Once we arrived, we bought a well-used, not-so-loved matte black 1994 Ford van. Four of us crammed our belongings (which consisted of about 4 t-shirts, 1 pair of pants and a riding kit) inside and called it home for 80 days. 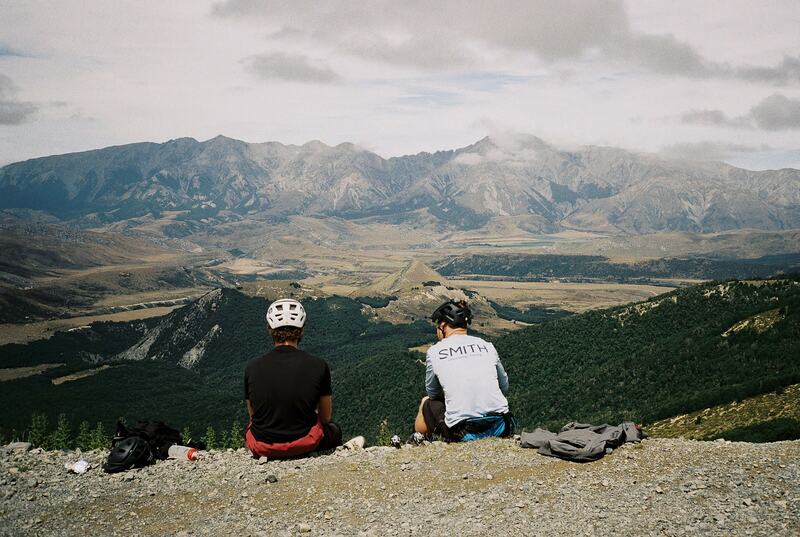 New Zealand offers some great riding zones and even better tourist traps. It’s not hard to see why so many call this Southern Pacific island home during their respective winters. But if you and your friends plan on making this type of trip a reality, there is one thing you should remember: only buy a manual transmission van if the majority of your crew know how to drive stick. Do you have a dream travel spot that you haven’t hit yet? Probably somewhere in the mountains of Eastern Europe - there are mountain bike trails there, right? Tell us about living out of vans and being on the road - what are the challenges and benefits? One major benefit is not having to pay enormous amounts of rent. 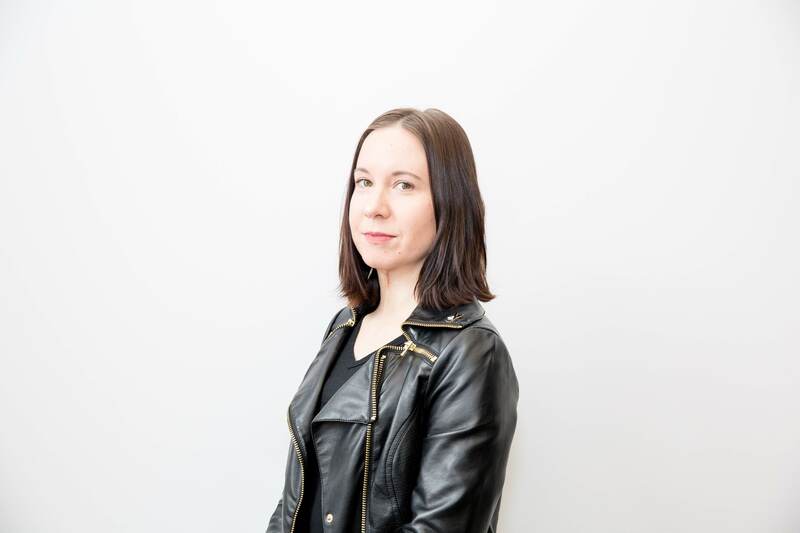 We could either eat like paupers, dining on ramen noodles and toast while living in a tiny studio apartment, or eat like kings at a destination of our choosing. The best part of living in a van, however, is waking up with a different view every morning. You know those photos of someone’s feet sticking out the door of a tent with what is perceived as a picture perfect landscape as the backdrop? That's us, pretty much everyday, minus the social media-inspired photographs. It’s not always a picnic, though. Living this nomadic lifestyle can get tricky at times. Rolling into a new place after hours on the road and wanting nothing more than just to fall asleep, there is always the desire to find somewhere flat, dark and quiet to park up for the night. What’s the craziest road story you have? There are definitely a few stories that come to mind; breaking down on the side of the road in the middle of nowhere seems to be the setting for a lot of them. Driving through such thick fog that we had to resort to our phones and Google maps instead of looking through the windshield in order to stay between the lines was also quite the experience. Surprisingly, we haven't had many run-ins with the law, except for a few complaints from people who get anxious when they see a van lurking around their neighbourhood for the evening. One particular story took place outside a small town in New Zealand. We had been talking about the idea of finding some hot springs somewhere nearby and, after poaching some WiFi and scouring the internet for such a spot, we came across an old forum post with a pixelated photo of a hot spring that someone had converted into a pool in the hillside outside of town. There were some vague directions as well as a fairly poor map of the area - what else did we need? These pools looked to be only about 3 kilometres from the road, so we unloaded the bikes, grabbed towels and set off dressed in beach attire. After about 45 minutes, 40 of which were filled with complaints about having worn flip flips instead of proper shoes, we came to an intersection that we were not expecting. As we argued with each other, trying to prove why our respective directional prowess was superior, we were met by another (actually prepared) rider who’s face, upon laying eyes on us. was priceless. Being a local, he had once been to these hot pools we were so desperately trying to find. He half heartedly gave us proper directions, probably hoping we would turn around so he wouldn't have to read about how 4 dumb tourists got extremely lost in the next day’s headlines, and wished us luck. As we set off for the second and better directed part of our journey, we were starting to think we might be a little under prepared. Bringing some more food and water likely would have been a wise decision, as well as not wearing a bathing suit on what was turning into a fairly long ride. After about triple the distance we were expecting, 6 unexpected river crossings, a severe lack of snacks and some fairly sore feet, we eventually found the hot springs, which turned out to be some of the nicest pools any of us had ever come across. In hindsight, setting off down a path we didn’t have proper intel on might not have been the smartest decision as it could have ended in disaster but, luckily for us, it ended with a very relaxing afternoon. What are The Free Radicals planning for 2018? This riding season is fast approaching and we couldn't be more stoked on what we have planned. We’re spending the spring getting lost and living the relaxed life on the Sunshine Coast in British Columbia. Once the heat of the summer hits, we will be spending a lot of time in the province’s interior, riding and racing deep in the Kootenay and Selkirk Mountains. The fall and winter seasons will be taking us south of the border where the gas prices are as cheap as chips. As different as Canada and the USA are, when you travel to ride mountain bikes it doesn’t matter where you are. Everyone with a similar mindset becomes your friend.